Fri 18 January, 7:30 p.m. 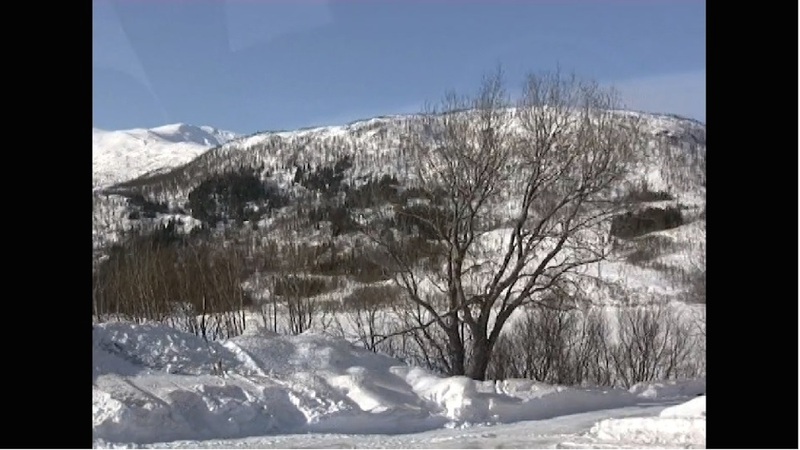 The footage of snow covered mountains, trees, clouds and water was shot through the windows of a tour bus driving to the Lofoten. The short sequences that were already cut with the camera show merely fragments of the Norwegian landscapes. The video is projected on multiple mirrors in turn fragmenting the images in the small office space of the Temporary Gallery. The chopped up planes of light appear on the corners, walls and the furniture of the room. Again, the landscape is fragmented and visible only through the window oft he closed office door. A small projection shines onto the driveway of the gallery. Denise Winter, born in Berlin, is an artist and lives in Cologne. She studied at Kunstakademie Dresden, Kunstakademie Düsseldorf and the Oslo National Academy of the Arts. Winter received several awards and scholarships, including the Caspar-David-Friedrich-Award in 2010 and the Günter-Drebusch-Prize in 2017. In 2013 she received the first prize in art in architecture of the Federal Ministry of food, agriculture and consumer protection, Berlin.